Waterford look set to lose their home advantage in their 2019 NHL tie with Offaly which was due to take place in Waterford. Photo: Inpho. 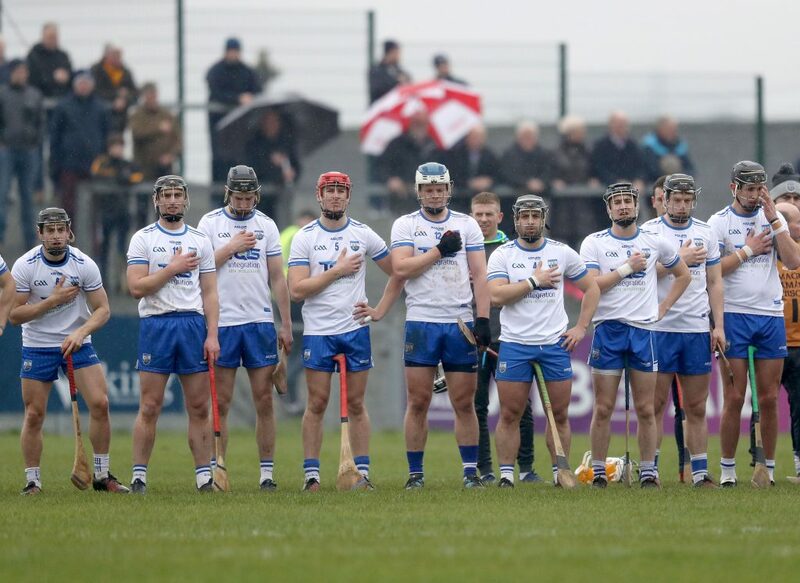 There was total surprise and no little annoyance in Waterford GAA circles over the weekend at information coming from Croke Park that the Waterford hurlers have been cited with just three other counties for breach of training rules in the run up to last year’s championship. According to a piece in the Irish Independent Croke Park investigated 17 counties suspected of breaching the Training Camp embargo in April of this year, the period designated for club activity, and under a decision of Special Congress last December a penalty of loss of a home league fixture (believed to be the Offaly game) would be imposed on a county found guilty of a breach of rule. Of the 17 counties investigated it appears that just four, Armagh and Laois in football and Waterford and Wexford in hurling have been found guilty of breaching the embargo. Laois and Wexford are deemed to have travelled to Portugal for Training Camps while Waterford and Armagh organised camps at home, Waterford having spent five days in Fota Island in East Cork at the end of April. It is understood that Waterford have received no official notification of the matter to date and county officials are expressing surprise at the proposal particularly as Waterford are one of the few counties to have complied with the directive on club championship games having played two rounds of hurling and two rounds of football championship games in April before players were released from their clubs back to the county panels before the end of the month. It is certain that should such a sanction be proposed it will be appealed strenuously by the board. It is really nothing short of a laughable situation that Croke Park appears to have accepted Dublin’s explanation that their visit to the Continent in that same period was for the sole purpose of visiting the World War One graves in France and Belgium. There is also a rule that county teams cannot play in November or train before the middle of the month in preparation for the coming season and yet we have Croke Park sanctioning the game between Galway and Kilkenny in Australia last weekend and the games in Fenway Park, Boston this coming weekend involving Limerick, Wexford, Clare and Cork. The ‘Think Tank’ in Croke Park would want to get its cap on again and scrap such ridiculous regulations that they themselves are prepared to sanction breaches of. Furthermore, just how they could decide that only four counties breached the April embargo is ridiculous when they know that many counties did not use the month to progress their championships as instructed. If they were not playing club games then the question would have to be posed as to what else their county players were doing.